Considered to be our premier ballroom, this venue accommodates from 150 to 220. The breathtaking views from the palisade level are just 50 feet above the Hudson River, offering you and your guests unforgettable vistas. ​Start your event with a seasonal indoor/outdoor cocktail hour in our Pershing Room with adjacent lawn-level patio, then transition to an elegant dinner and dancing in the George Washington Ballroom overlooking our grounds and the Hudson River. ​Our original ballroom, located on the lobby level of the hotel, captures the essence of the ambiance originally created for cadets in 1928. Parallel to the Grant Ballroom is the Bradley Room, boasting spectacular panoramic views of the Hudson River. The two rooms can seat from 80 to 160 people for a traditional dinner, or up to 230 people for a cocktail party. The 2,900-square-foot ballroom contains a dance floor, 20-foot ceilings, wrought-iron chandeliers, leaded glass windows and gargoyle architectural details. ​Elevated above the palisade level, these rooms offer the best overall view of the Hudson River. 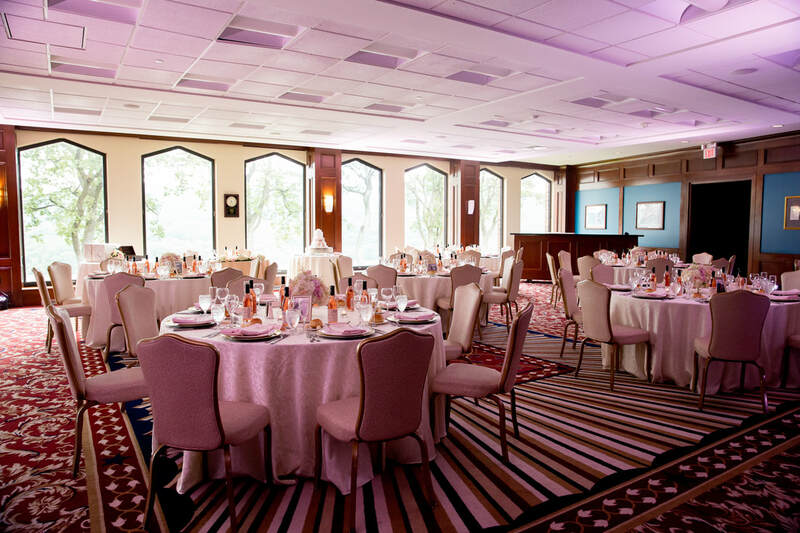 Facing east, the Eisenhower Room holds from 40 to 90 guests, to accommodate dinner and dancing. The adjacent Hap Arnold Room is for your separate cocktail hour. Together the rooms offer a total of 100 feet of floor space and floor-to-ceiling windows facing the magnificent Hudson River. Whether spring, summer, winter or fall, you will never be disappointed in the views of our magnificent surroundings. at West Point, please send us a Request for Proposal below.